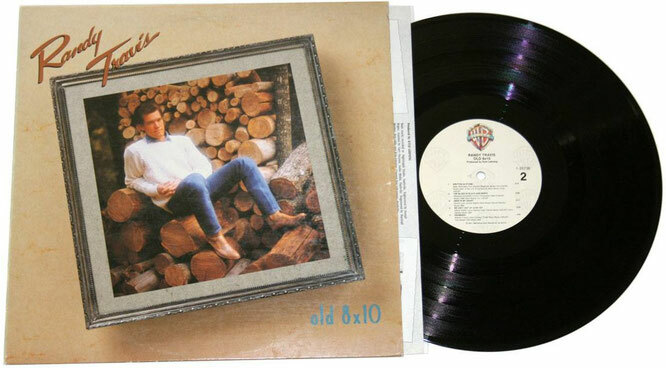 This week we're featuring the follow-up to one of the biggest selling albums of the 80s: Randy Travis' "Old 8x10" (1988). It was of course the answer to "Always & Forever", which sold five million copies and hatched four number ones - it was always going to be a hard act to follow. However, "Old 8x10" certainly did well.. three number ones and two million in sales - Randy got a pay day, don't worry about that. There was a continuation of style too - lots of pedal steel, dobro and fiddle all sit wonderfully around Randy Travis' most unique of vocals. Paul Overstreet and Don Schlitz (the duo that brought us "Forever And Ever, Amen") are back with country's answer to "River Deep, Mountain High" in "Deeper Than The Holler"; "Written In Stone" must've been considered at thousands of weddings; the playful "Is It Still Over?" and "We Ain't Out Of Love Yet" add some pace, but the real gem for this reviewer is the stripped-back final track of the album. "Promises" is reduced to almost just a guitar and that smooth baritone and remains one of the most emotional entries in Travis’ back-catalogue. Sensational album.